Help-Portrait 2009: A Huge Success! 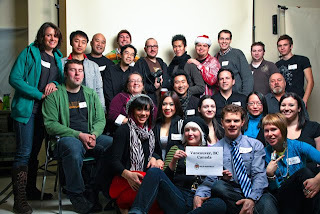 Help-Portrait Vancouver was an overwhelming success! We held the inaugural Help-Portrait Vancouver event Saturday, December 12th, 2009 at the Salvation Army Grace Mansion on East Hastings, and it was a fantastic day! The makeup artist and hair stylist were buzzing making women and girls look beautiful. Mark Hildebrand and Kathi Reid filled the room with music. Photographers were making people smile and laugh and giggle with excitement. And when the printers starting rolling off prints, people’s reactions were priceless. With help from Stephanie Forster of the Nehemiah Arts Foundation, we were able to welcome over 400 people through our doors and take approximately 175 portraits of families and individuals. The folks at Epson and Canon made onsite printing possible, allowing us to have portraits in our subjects as they left. Local Vancouver camera store Beau Photo provided background paper as well as photo Christmas cards for our guest to send to family and loved ones. And as a touch, the Salvation Army provided postage for the cards. A group of 28 photographers, 5 makeup artists & hair stylists, and 15 volunteers made the day run smooth. Everyone gave as much as they could and then a little bit more. Help-Portrait 2009 was a fantastic day, and a huge success! 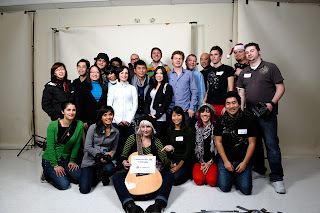 December 14, 2009 | Filed under Vancouver Downtown Eastside (DTES) and tagged with Downtown Eastside, DTES, Grace Mansion, Help-Portrait, portraits, Salvation Army, Vancouver.